Here are the main stories from The Old Testament: Adam and Eve, Cain and Abel, Noah's Ark, Abraham and Isaac, Moses, The Ten Commandments, David and Goliath, Jonah and the Whale, Daniel and the Lion's Den and more. In these days where religion plays a diminishing role, it is important that we know the stories of The Bible not least because they appear repeatedly in art, literature, drama, music and even in films and computer games! 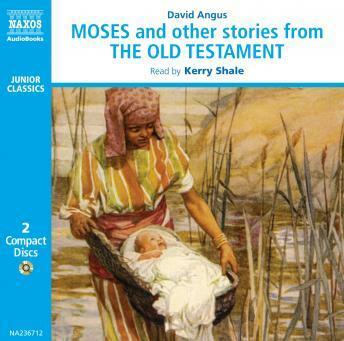 David Angus's informal text especially written for this recording is brought to life by the friendly story-telling talents of Aled Jones.